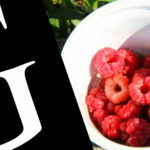 Students learn inside and outside the classroom in the unique course taught by local organic farmer Ben Penner. 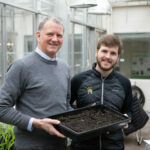 After a decade of growth, opportunities on the student-run farm continue to blossom. 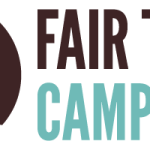 Mariana Cobos and Josh Reinitz will explore fair trade, organic, sustainable, and equitable farming practices on Wednesday, October 26. 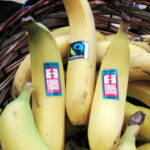 Gustavus is the first college or university in Minnesota to be designated a Fair Trade College/University by Fair Trade Campaigns, a collection of fair trade organizations from across the globe. Gustavus is the 30th college/university in the United States to earn the designation. Individuals interested in the intersections of theology and sustainability are invited to Gustavus Adolphus College Jan. 21-23, when the college will simulcast Trinity Institute's 39th National Theological Conference. 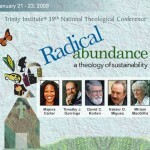 This year's conference is titled Radical Abundance: A Theology of Sustainability. 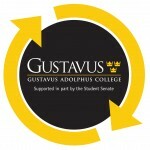 Gustavus Adolphus College will introduce new, reusable take-out containers, called GustieWare, in the dining service when the fall semester begins in early September.